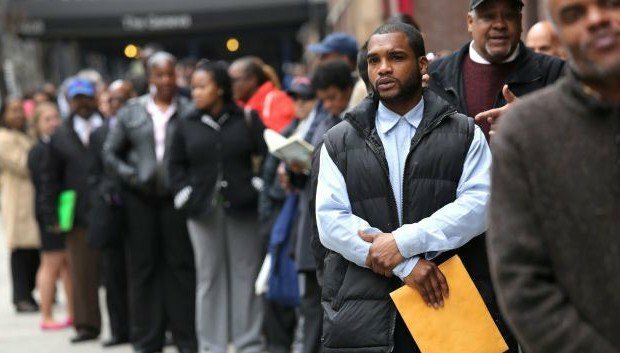 The Labor Department reported that the African-American unemployment rate fell from 10.4 percent to 10.1 percent. The national unemployment rate remained at 5.5 percent. Although economists had predicted that employers added 245,000 jobs, the streak of 12 consecutive months of job gains above 200,000 was broken with just 126,000 new jobs added in March. It is the lowest number of monthly jobs gains since December 2013. In addition, the figures for February and January were revised down to 265,000 from 295,000 and 201,000 from 239,000, respectively. According to the Associated Press, winter weather, factory slowdowns and slower activity in the construction sector were factors.